While in law school, Mr. Witkin was an editor on the Florida Law Review, and published an article entitled “A Time for Change: Reexamining the Constitutional Status of Minors” 47 Fla. L. Rev. 113 (1995). Mr. Witkin received American Jurisprudence Awards in Torts, Income Tax, Antitrust and Social Science, and was installed as a member of the Order of the Coif. After graduating from law school, Mr. Witkin served as a law clerk to the Honorable Ira DeMent and the Honorable Truman S. Hobbs on the United States District Court for the Middle District of Alabama. He then served as a law clerk to the Honorable Edward Carnes on the United States Court of Appeals for the Eleventh Circuit. Mr. Witkin is currently licensed to practice before all Florida and Mississippi state and federal courts and the United States Court of Appeals for the Eleventh Circuit. 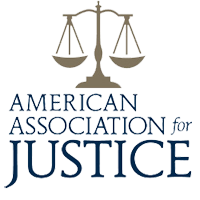 Mr. Witkin is a member of the American Bar Association, Litigation Section, the American Association for Justice, and the Academy of Florida Trial Lawyers. As lead class counsel in: In re: MCI Non-Subscriber Telephone Rates Litigation, MDL Docket No. 1275 (S.D. Ill), Mr. Witkin helped to negotiate what has been reported as the largest ever settlement involving the telecommunications industry, an amount in excess of $88 Million. Mr. Witkin has also served as lead counsel in: In re: America Online, Inc Version 5.0 Softward Litigation, MDL Docket No. 1341 (S.D. Fla), and as a member of the Discovery Committee in: In re: Microsoft Antitrust Litigation, MDL Docket No. 1332 (D. Md.). Mr. Witkin has handled claims for injury arising out the use of the diet drug Fen Phen, the diabetes drug Rezulin, the cold remedy ingredient phenylpropanolamine, the gastrointestinal medicine Lotronex, the anti-cholesterol drug Baycol, and the recalled orthopedic hip implants manufactured by Sulzer Orthopedics. 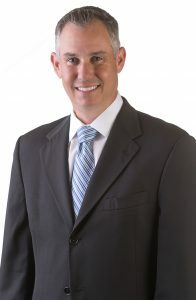 Mr. Witkin limits his practice to the areas of: wrongful death and personal injury and is currently involved in the following matters: Ford Truck Litigation, Vioxx, Fen-Phen, Bextra, PPA, Shell Oil Class and ETS/Praxis Class.